Operating expenses increased amidst the building of the new Raffles Specialist Centre. 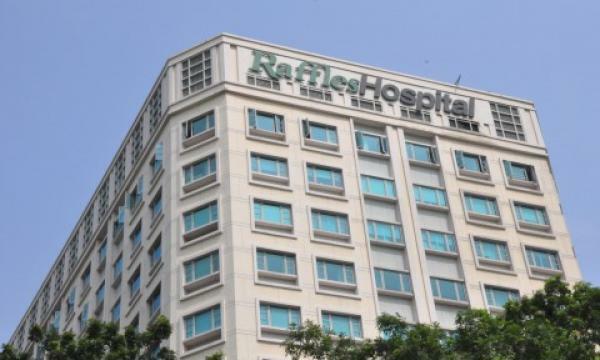 Raffles Medical saw a profit growth of 0.8% YoY to $16.9m in Q2 2018 from $16.2m a year ago as its revenue rose 0.1% to $120.2m from $120.88m, an announcement revealed. Its operating lease expenses slipped 5% YoY to $3.26m in Q2 from $3.43m. Meanwhile, other operating expenses inched up 6.4% to $8.32m from $7.82m a year ago due to building and related expenses relating to the new Raffles Specialist Centre. The firm noted that their investment properties rose by $26.6 million which they largely attributed to the investment property development expenditure for Raffles Hospital Chongqing and Raffles Hospital Shanghai. Moreover, Raffles Medical’s insurance contract provisions grew by $10.5 million, mainly due to higher provision for unearned premiums from billings for premium from the group’s insurance business. In Q2 2018, Raffles Hospital’s outpatient clinics and inpatient wards went through refurbishment processes. Said facilities will open by Q3 2018. “The increase in primary care and specialist outpatient capacity, together with expanded inpatient facilities, will support future growth at Raffles Hospital,” the firm said. In addition, Raffles Health lnsurance (RHI) has obtained regulatory approvals to enter into the Integrated Shield market, making it the seventh MediShield player in the market. Raffles Shield, has been officially launched on 1 August. RHI also teamed up with NTUC Income Insurance Company to offer NTUC IncomeShield policyholders access to its panel of specialists at RafflesHospital and in other private hospitals in Singapore. Construction of Raffles Hospital Chongqing and Raffles Hospital Shanghai in Pudong are still ongoing. It is eyed to launch by Q4. Meanwhile, Raffles Shanghai Pudong will open by H2 2019.